can be difficult to launch when there is a lot of boat use. 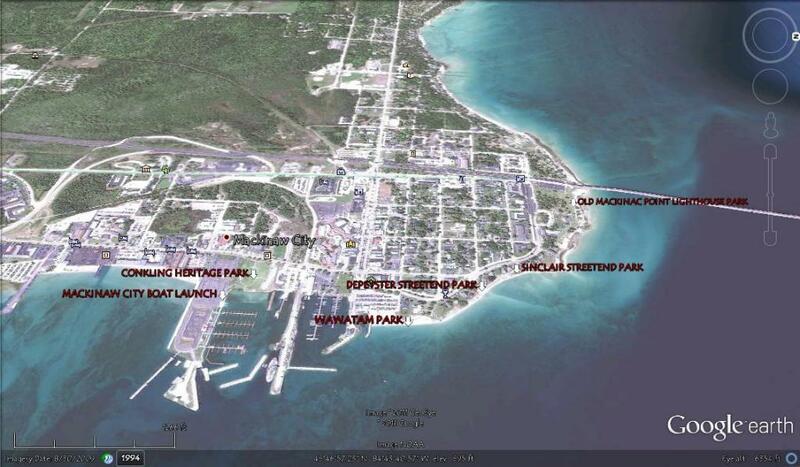 Paddling around the waterfront of Mackinaw City is an interesting mix of historic sites and parks. Be careful of heavy boat and ferry traffic when paddling around the Mackinaw City waterfront. Waters in the straits are challenging with the currents and waves.